- Date: 01/2014, Seed: $110 k (post valuation: $2500000). 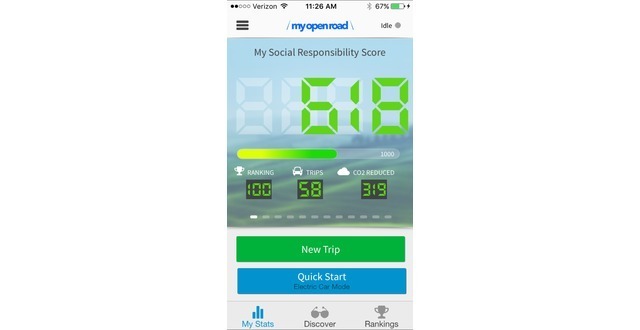 My Open Road is a social energy conservation app for smart phones, and provides a new tool for promoting sustainable transportation at colleges worldwide. 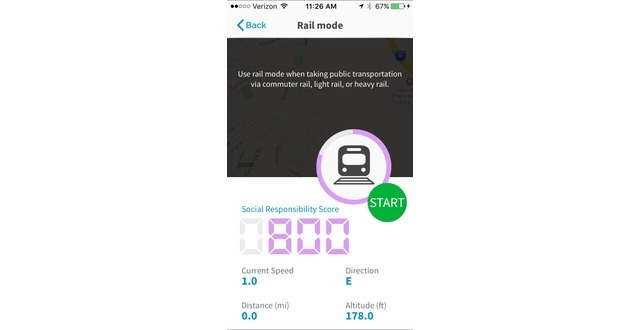 The app rewards students for using alternative transportation instead of driving. Students can then go to our partner retailers, restaurants and get rewarded for their conservation efforts. Universities and colleges worldwide are all trying to be more sustainable and reduce their carbon footprint; some are planning on becoming carbon neutral by 2025. Transportation accounts for approximately 30% of the carbon emissions produced on campus. The Problem: As schools work to further reduce their carbon footprint, the area of promoting the use of sustainable transportation has been an enormous challenge. And until now there has not been a unified, standardized platform to contend with the problem of promoting sustainable transportation while mitigating the risk or the expense of creating a campus proprietary solution. Our Solution: Welcome to My Open Road™ (MOR), My Open Road is a revolutionary new social energy conservation app for smart phones, and provides a new tool for promoting sustainable transportation and student social responsibility. The app rewards students and faculty for using alternative transportation instead of driving. Students and faculty can then go to several of our sustainability partner retailers, restaurants and on-line merchants to get rewarded for their energy conservation efforts. 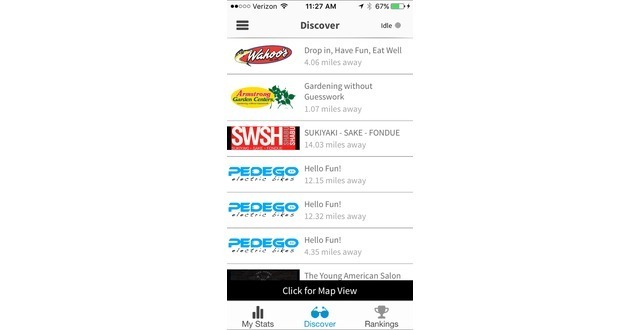 How It Works: Students and faculty can choose from several different “modes” of transportation on the app. Then can carpool, walk/run, bike, skateboard, take the train, take the bus, even use low emission hybrid and electric vehicles. Users earn something called a “Social Responsibility Score®” (SRS), the Social Responsibility Score works like a credit score and varies from 0 to 1,000. The more energy efficient the students travel choices, the higher their Social Responsibility Score becomes. Students can then use their high score to unlock exclusive special offers and discounts at our partner retailers, restaurants, and on-line merchants. The app also promotes healthier campus living by encouraging students to walk, run, bike and skateboard more often. Marketing our application is done by creating jobs for students. At each campus the students we hire are trained in sales and marketing to promote our advertising system of off-campus local businesses, and function as on-campus ambassadors to promote and support the product on campus with students and faculty. My Open Road is already deployed at four colleges in Canada including University of British Columbia, Camosun, Royal Roads, and University of Victoria, and at six campuses in the US including UCLA, UC Irvine, US San Diego, UC Riverside, Cal Poly Pomona, and Chapman University. We plan to have the product full deployed to all ten University of California campuses by October 2016. 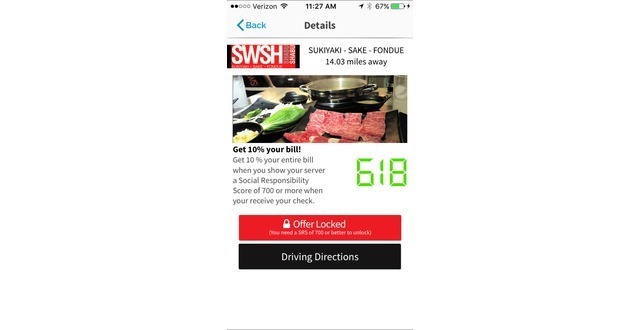 The product is monetized from selling annual in-app advertising subscriptions to our partner retailers, restaurants, and on-line merchants. We also offer My Open Road is a complete SAS platform for supporting sustainable transportation on any college campus. It allows transportation services administrations to observe and optimize sustainable transportation trends on and off campus via our web based dashboard. Universities are offered a subscription based model starting at $10,000 per year. The My Open Road team has self-funded over $500,000 for development and related costs, raised over $50,000 from friends and family, and successfully closed a $60,000 Indigogo crowd funding campaign in 2014. The company is seeking $1,500,000 in investment from investors. The funds raised in this round will provide the company with an 18 month runway to continue development of the mobile application on Android and IOS platforms, and to market our SAS platform to universities in the western US and Canada. As an inventor, my goal in life is to develop products, and technologies that can benefit humankind to make life easier. As an entrepreneur, I seek to build the supporting infrastructures necessary to support those visions. As schools work to further reduce their carbon footprint, the area of promoting the use of sustainable transportation has been an enormous challenge. And until now there has not been a unified, standardized platform to contend with the problem of promoting sustainable transportation while mitigating the risk or the expense of creating a campus proprietary solution. The My Open Road platform provides a new tool for promoting sustainable transportation and student social responsibility. My Open Road added a press mention.